A grinch Governor Wolf appears on a flyer inviting Philadelphians to create holiday cards to send to Governor Wolf asking him to end a DOC policy that doesn’t allow families to send cards of photos to incarcerated family members. Those cards are going to Pennsylvania Governor Tom Wolf to protest the Department of Corrections’ new mail policy. Dozens of community members and families worked on holiday cards at the Village of Arts & Humanities in North Philadelphia on Germantown Ave. Some cards are the equivalent of a lump of coal to show the governor they’re upset that state inmates are just getting scanned copies of their mail — after the originals go through a facility in Florida. “I hope you get the touch and feel the originality of this card because my loved one won’t, due to your policy for incarcerated men and women,” said Faith Bartley, reading from her card. The new policy was put in place in August when dozens of staff and inmates fell ill after drug exposure. The statement also says “drug finds, inmate overdoses and staff exposure reports are all down significantly,” since the new policies have been put in place. General mail now first goes to Smart Communications, a sorting facility in Florida, and then inmates receive a scanned copy. Hannah Zellman, an organizer with Decarcerate PA, says the policy is an arbitrary way to address drug contraband. “We also know that there’s a lot of ways to address substance use disorder inside correctional facilities that don’t include restricting people’s access to communication on the outside,” Zellman said. Mail turnaround time is 24 hours, the DOC notes, and also states inmates can request a letter be rescanned or copied if there’s an issue with the quality. Former inmate Roslyn Ryder remembers looking forward to getting Christmas cards around the holidays. By the time they reached her, she says cards would have decorations ripped off and glitter scraped away. To get a photocopy, she says, would be even worse. The People’s Paper Co-op, a program of the Village of Arts & Humanities, hosted the event for the 4th year. Mark Strandquist, co-director of the Co-op, says part of their approach includes looking to former or currently incarcerated women as experts and problem solvers. Shantay Heaven has three family members incarcerated. Heaven, who has two children, is sympathetic to kids in the area who can’t celebrate the holidays with their parents. “Out here, it’s not a good Christmas for a lot of kids that are not be able to have original contact with their fathers or their mothers in incarceration,” she said. The cards will be mailed to Harrisburg and delivered to the governor’s Philadelphia office next week. Read this story and more from our partners, WHYY. 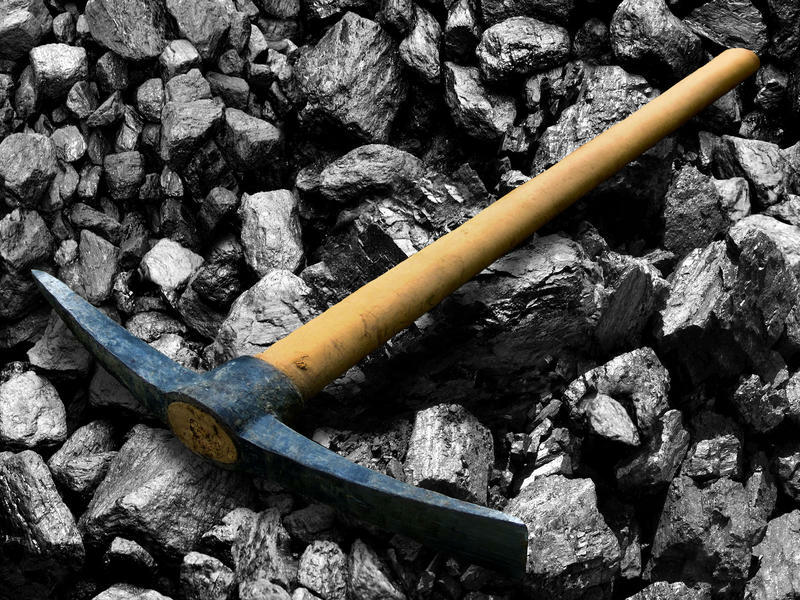 A New Coal Mine Is Opening In Pennsylvania. Is Trump To Thank? Thom Maziekas' house in Mahanoy City faces a row of empty lots. Rowhomes once stood there, but they suffered the fate of many buildings in this once-booming coal town in northeastern Pennsylvania: a fire, then rubble, now blight.